For most students, summer means taking a break from school work and relaxing by the water during lazy, hot days. But about 20 local high school students seeking to gain an edge opted to head back to the classroom to participate in Nova Southeastern University’s (NSU) Ice Cream Entrepreneurship Program, a creative writing and business development experience. 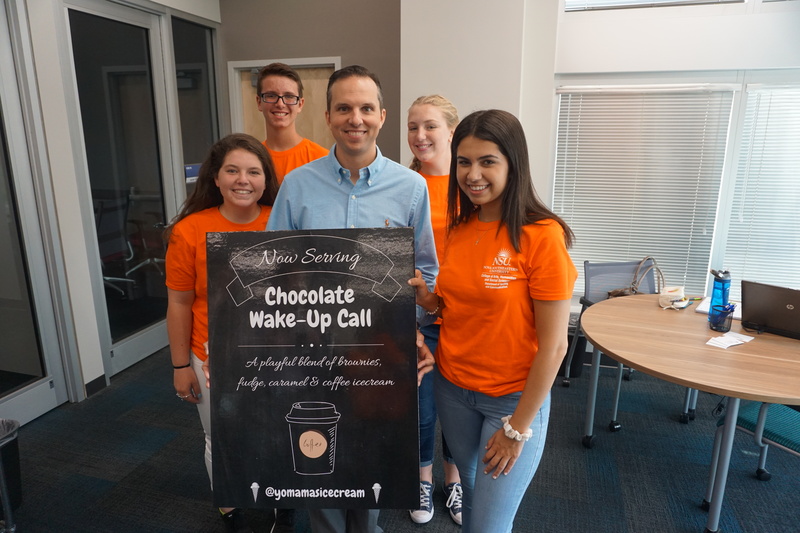 As part of the program, the winning team will be scooping and serving their ice cream at Yo Mama’s this Friday, September 14 from 6 p.m. – 8 p.m.
Caitie Switalski from WLRN had an opportunity to speak to Dr. Stephen Andon, the program’s creator, Mandi Jaffe, a student from the winning team; and Lee Feldman, owner of Yo Mama’s Ice Cream. To listen to the full interview, follow the link below.